This post is pretty vulnerable for me to write. Not only am I going to talk about some things that have been transforming in my heart in a really honest way, but I’m going to talk about clothes and fashion. And any time I talk about clothes and fashion, it seems to evoke a lot of negative comments. I’m not sure what it is, but this is a very real thing. 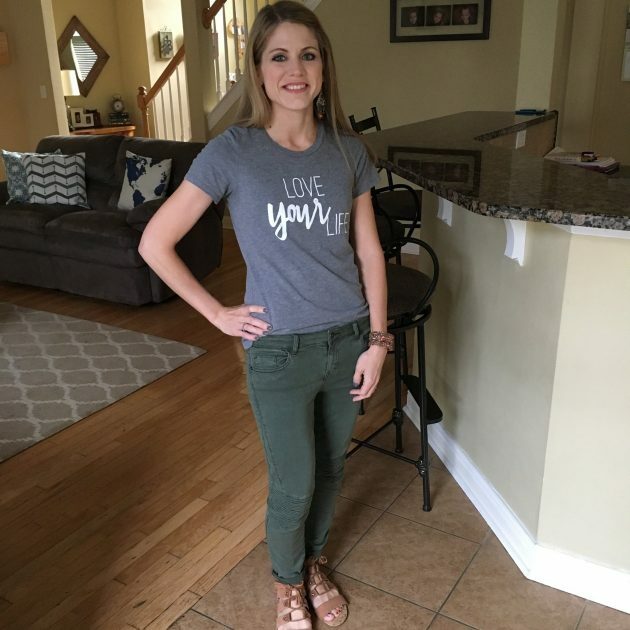 For instance, last year, when I decided to get brave and take the Get Your Pretty On Summer Style Challenge and post my outfits every day, I received dozens of completely unexpected comments from people. Not only did people have all sorts of opinions and share lots of unsolicited advice (“I don’t like that color on you AT ALL.” Or, “I wouldn’t wear those two items together. 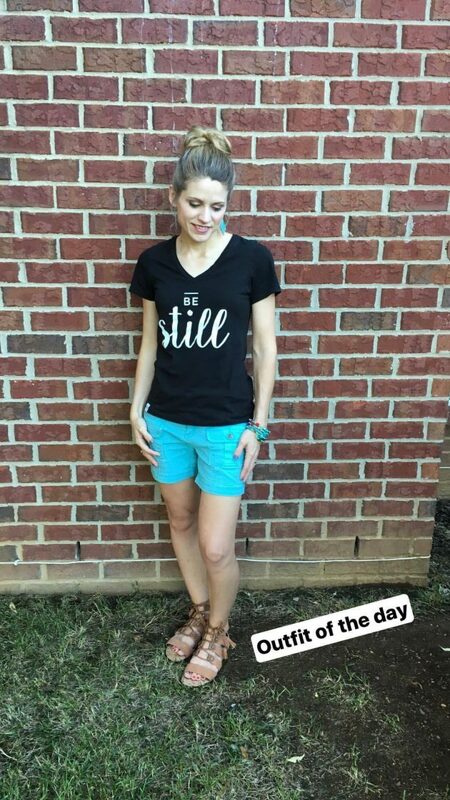 They don’t go together at all.” Or, “Yesterday’s outfit was SO much better than today’s.”), but there were people telling me they were upset that I’d become so self-centered that I would talk about clothes and post pictures of myself. Some people even wrote in saying they were going to unfollow my blog because they were so turned off by me posting outfits and acting so full of myself. They couldn’t believe how much I had lost my way since I started blogging. It’s Not Like I Was Telling You Who to Vote For! Here’s the thing: I know I have a public blog. I know that posting on said public blog means that I am opening up myself to any and all responses and comments and criticisms and opinions. But y’all, I was just trying to challenge myself outside of my clothes comfort zone and I knew that committing to post my outfits each day would guarantee that I’d actually follow through. 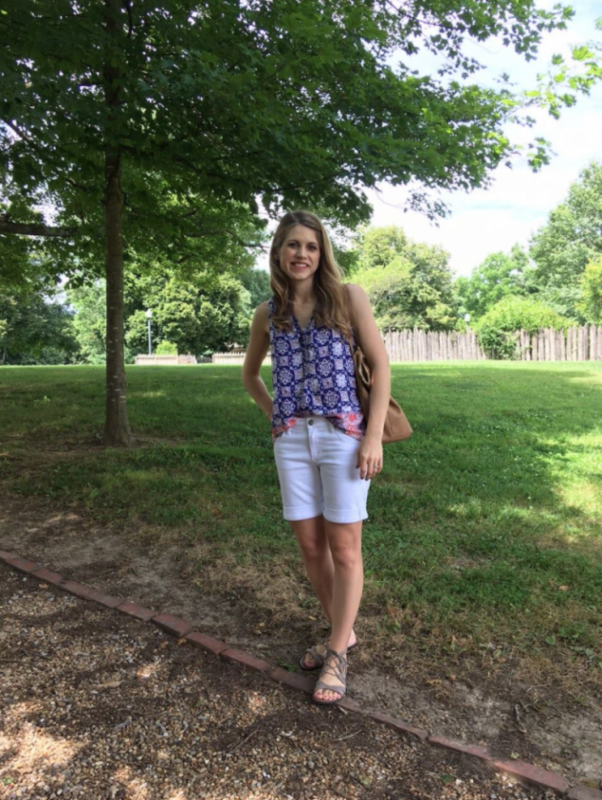 So, I am writing this post with a little fear and trepidation and hoping that I’m somehow not kicking the hornet’s nest by talking about clothing and fashion. However, I really wanted to write this post because this is something that has been brewing in my heart and life for many months. 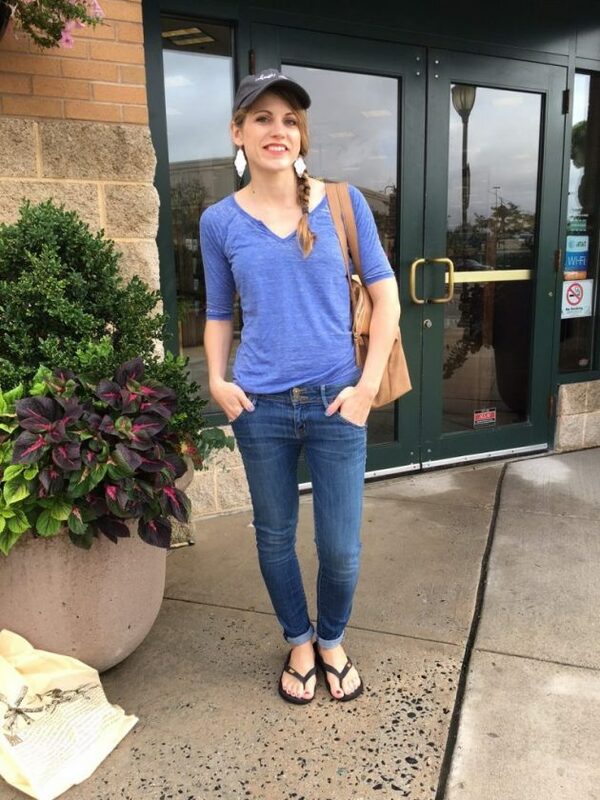 In fact, it all really started when I took the Get Your Pretty On Summer Style Challenge. I thought that was just going to be a simple challenge that would push me out of my comfort zone. But it was more than that! Yes, that challenge pushed me really far out of my safe little clothing rut. Yes, it inspired me to try new styles, pair outfits in new ways, and even to buy (and wear!) dresses again (something that I really hadn’t done in a long time)! More than that, though, it caused me to realize that I actually really, really enjoyed looking put together and putting outfits together. It made me feel great all day and it made me smile every time I looked in the mirror. I believed this for a very long time. I made it my truth and I lived under this truth. And I let it hold me back from trying new styles and new colors. It kept me from branching out and getting creative in my closet. I let this belief keep me stuck in a very simple, bland, and minimalist wardrobe. But the Get Your Pretty On Summer Style Challenge changed all of that. I discovered how much I loved looking great. I learned a lot about what styles I liked and didn’t like. 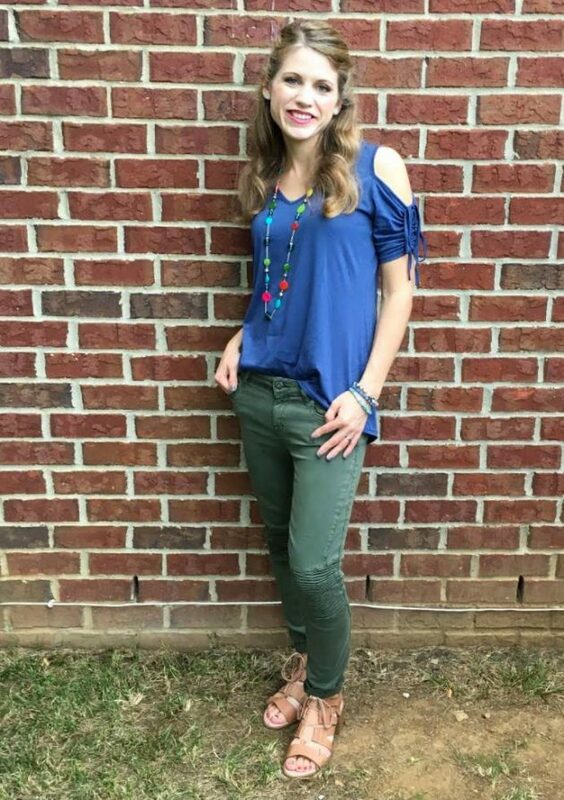 Best of all, because the Get Your Pretty One Summer Style Challenge had all of the wardrobe pieces suggested for you and daily outfit ideas all put together for you, it was so much easier to figure out how to pull together outfits that looked great and that I loved. And because of what I learned from those outfit formulas, it is much, much simpler for me to put together cute outfits now. 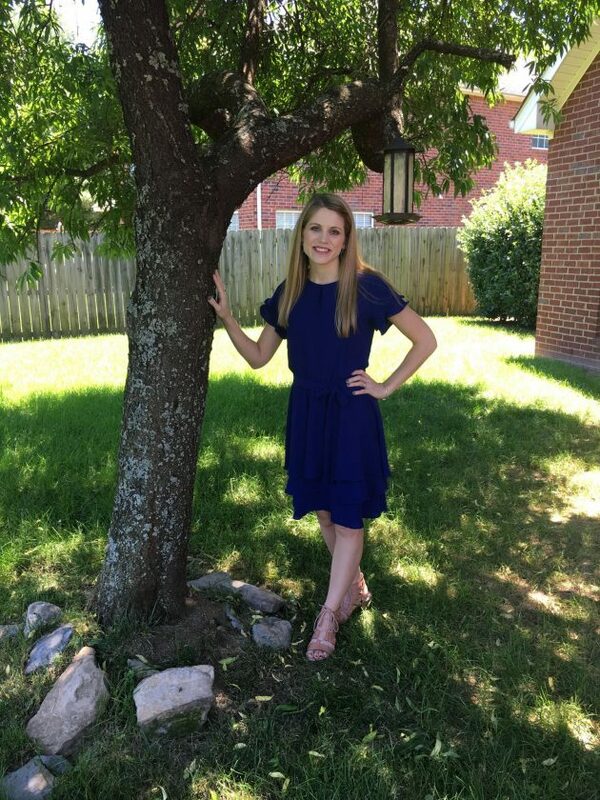 Instead, I slowly began to realize that I did find a lot of joy in wearing a cute pair of shoes or an outfit that I especially loved and that I felt more confident and happy when I put a little effort into what I wore. So I’ve stopped saying “I’m not a fashionista” and I’ve started believing that I do have fashion sense, that I can put together cute outfits, that it’s okay to let myself spend money on clothes that I really love and that fit me well (provided it’s in the budget, of course! ), and that I can have fun trying new styles out — even if I decide I don’t like them! There has been so much freedom for me in this and I’ve let myself really pay attention to what types of styles I love on others and ways that I can “copy” those styles for my own. And it’s been so fun! 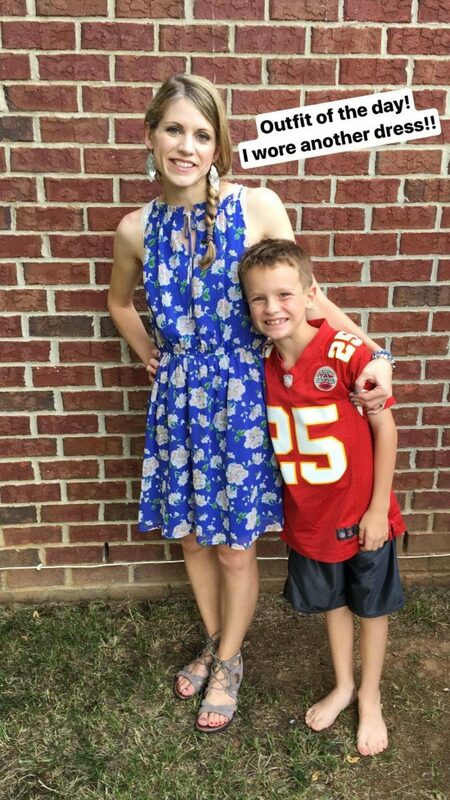 I credit so much of this transformation to doing the Get Your Pretty On Summer Style Challenge. I loved how it told me exactly what I needed to have in my closet, exactly how to pair those outfits together, and lots of variations and ways to dress things up or dress things down, depending upon my mood or the circumstances of that day. Get Your Pretty On offers a number of different Style Challenges just like the one I participated in. Each is designed as a guide to building a functional, fashionable wardrobe that works for your every day life. And I’m SUPER thrilled because through midnight tonight, if you purchase the Ultimate Homemaking Bundle, you’ll get to choose to download one of eight different Get Your Pretty On Style Challenges — for FREE! These are each downloadable resource that tells you exactly what you need to have in your closet in order to create dozens of cute outfits! 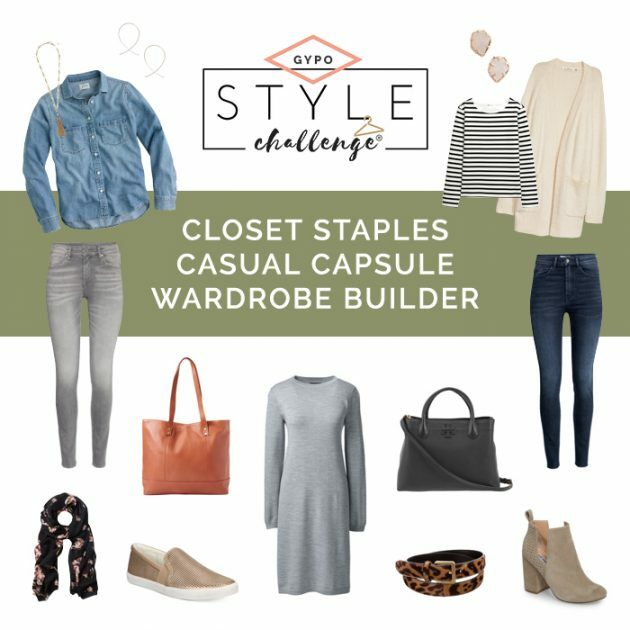 I chose the Closet Staples Casual Capsule Wardrobe Builder and I love it and have already gotten some great outfit inspiration from it for this Spring! You can see more videos of it and what it contains if you watch my Instagram Story here. Remember, you only get your choice of one of the FREE Get Your Pretty On Style Challenges listed above if you order the Ultimate Homemaking Bundle by midnight tonight (April 12, 2018). Plus, some really cool bonuses! You can go here to see the HUGE list of all the categories and products within each category. There are many amazing resources in the Ultimate Homemaking Bundle that I highly recommend — and I’ll be telling you about more of them over the next few days. But since we’re talking fashion and Get Your Pretty On, I wanted to mention that one of 62 ebooks you get is also from Get Your Pretty On! It’s called The Big Book of Outfit Formulas written by Alison Lumbatis from Get Your Pretty On. This downloadable book offers 300 Mix & Match Outfit Ideas for the every day woman and it’s packed with outfit inspiration! Between this book and the Get Your Pretty On Style Challenge you choose, you’ll be set with fashion inspiration for a long, long time! 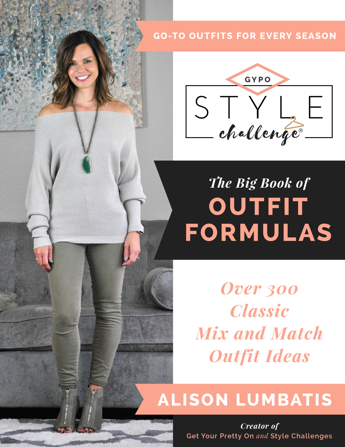 Both the Get Your Pretty On Style Challenge + The Big Book of Outfit Formulas are an $88 value together. But you’ll get both of them + 127 other ebooks, online courses, bonuses, printables, and so much more — all for just $29.97 when you purchase the Ultimate Homemaking Bundle by midnight tonight. Ready to order? Just click below. Want to read more about everything in the Ultimate Homemaking Bundle? Go here. This is SUCH a great deal and I don’t want you to miss out! Remember: The Early Bird bonus of the free Get Your Pretty On Style Challenge of your choice ends tonight at midnight. Don’t miss out on this opportunity to get inspired like me and get out of your clothing ruts.